One king sized master bedroom + ensuite with separate bath and shower. One twin room with two single beds. One bathroom + guest powder room. Superior linen, toweling and Aveda toiletries. 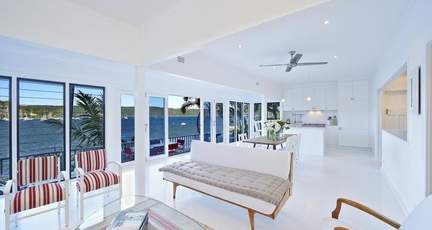 Magnificent views of Pittwater and beyond. Large state-of-the-art kitchen and separate laundry with all modern amenities.